There is a need for a rapid response – such as a political and/or security window of opportunity to investigate, or concern that the evidence and/or the patience of the population will erode. The diversity of the roster allows JRR to meet a wide variety of requests. After consultation, we provide the requesting entity with a list of anonymous skillsets that match the required competencies. The selection is made by the requesting entity after shortlisting experts, reviewing their full profile and, if needed, interviewing final candidates. 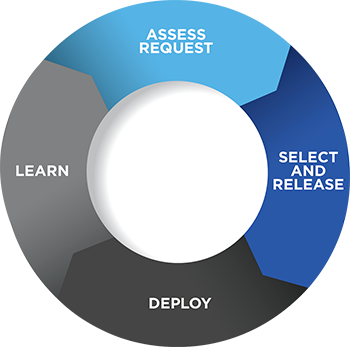 We secure the release of the selected experts from their regular employer, facilitate the deployment process and brief the experts prior to deployment. The mission is funded through JRR’s International Investigations Deployment Fund. Deployed experts report only to the entity to which they provide support. JRR debriefs both experts and requesting entities after each mission, focusing on how to improve the deployment process and assess overall impact.